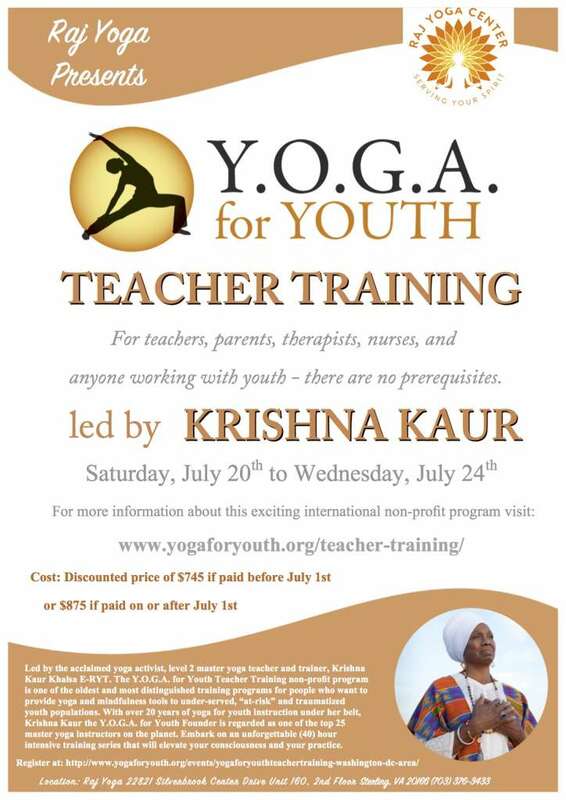 Krishna will also be teaching a workshop, Eat Stress For Lunch And Love It! at Raj Yoga on Friday July 19. Call (703) 376-3433 for more details on this workshop. The Y.O.G.A. for Youth mission is to provide urban youth with tools of self discovery that foster hope, discipline and respect for self, others and community. Our curriculum addresses major components associated with diminishing fear, the root cause of anger, and increasing a belief in their own greatness. We are committed to alleviating violence, vandalism, substance abuse, obesity, eating disorders, teen pregnancy, sexual assault, bullying, suicide, poor grades and other self defeating behaviors that are prevalent among today’s youth. Dates: Saturday July 20 to Wednesday July 24, 2019. The course will meet from 8:30 am to 6 pm daily Saturday – Wednesday and 8:30 am to 4:30 pm on Sunday. In January of 2018 Krishna Kaur paid a visit to DC area Maryland schools to see for herself the progress made in incorporating school-based yogic technologies for social/emotional wellness. The excitement generated by her visit from students and staff was truly a blessing to see! Teaching has been a natural path for Jeffrey Donald. 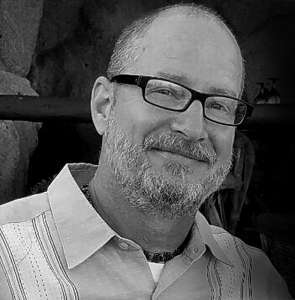 Born into a family of educators, Donald is a licensed Alternative Education Teacher, College Board certified Art Educator K-12, from Marymount University and has a Master’s of Science degree in Educational Administration and Supervision from Hood College. Jeff was introduced to Kundalini Yoga as taught by Yogi Bhajan, completely transforming his life. Since practicing, he has been given the mission to serve his students and community further sharing the technology of Yoga and Meditation with others as a tool for success, not only in school, but in life. To date, Donald has trained over 180 teachers for school-based Mindfulness/Meditation usage in Maryland schools, giving access to this technology to 11,000 students. Jeffrey is also a Reiki practitioner and a certified Kundalini Yoga Instructor.